PRDC takes oral health care into area schools throughout the Piedmont. In 2018-2019, PRDC’s Smile Time program provided over 1000 exams for area children. Of the children participating in the Smile Time program, 95% have Smiles For Children (Medicaid) or other insurance; for these children there is no out-of-pocket cost to the family. For uninsured income-qualifying families, the cost is just $50.00, for all others it is $125.00. Enroll your children here. Forms are also distributed at the beginning of the school year in the school packet or anytime from the school nurse. These convenient exams at school are completely voluntary. Parents agree to have their children participate at the beginning of the school year. Each participating child receives two exams during the school year, six months apart. 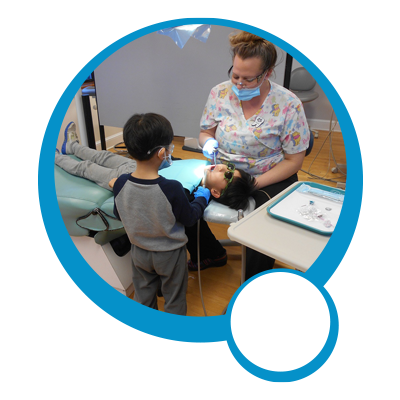 follow-up calls are made to the family to answer the parent’s questions and ensure each student has a Dental Home to provide ongoing oral health care. Medicaid and Commercial Insurance cover the cost of these exams. PRDC dentists make sure your child’s teeth are examined, cleaned and protected. PRDC does the paperwork (except for the simple annual registration form) and you can remain at home or at work taking care of everything else. It’s a win-win for everyone, especially the children. Do you wonder what one Smile Time child would tell another about what a Smile Time visit is like? We asked four-year old Ian about what he thought about his first dental exam with the Smile Time program. With charm and candor, Ian tells other kids what to expect. For more information please call Nicole at PRDC at 540-661-0008. 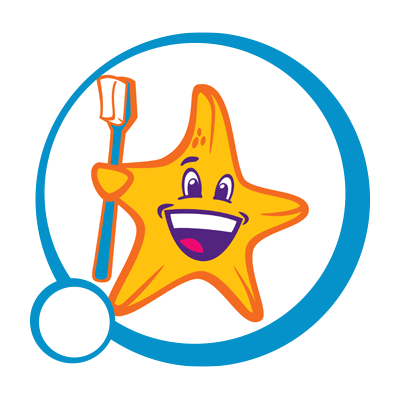 Register your child for Smile Time on-line! Registration is easy and it’s free!